How the Edina girls’ hockey program became a national powerhouse. Try to find one person in Edina without a hockey story—and good luck. It won’t be long before you’re pulled into a story about this game, that game, hat tricks and five holes. This is a hockey town. But for decades, the distinction that accompanied being a hockey star in a hockey town was mostly reserved for boys. No longer. Coaches and organizers have built the Edina girls’ hockey program into not only the biggest in Minnesota, but the biggest in the country. Young women graduate from Edina’s ice with visions of Olympic medals. Coaches with rich hockey backgrounds have been crafting a future for female athletes in Edina so that hockey in our city is no longer just about the boys. It’s not really just about the girls, either. It’s all about hockey. Fifteen years ago, there was no hockey league for Taylor Williamson. Although the Edina Hockey Association (EHA) started a girls’ hockey program in 1993, there were no options for young girls just starting out. 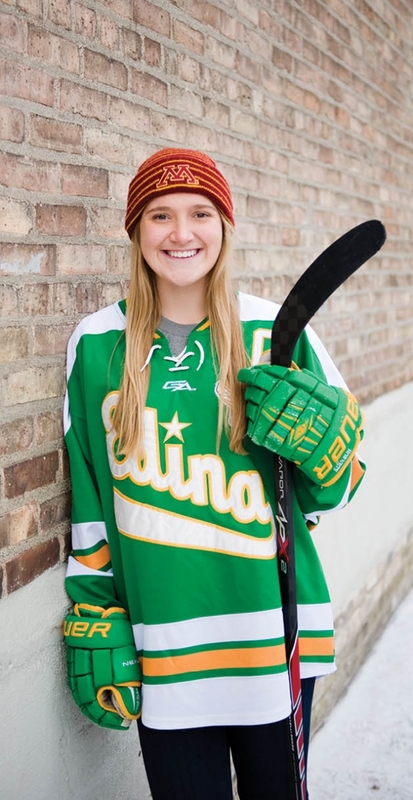 Williamson, now a senior standout for the Edina Hornets, was part of the first group of girls to have their own league, thanks to the efforts of her father, Dean, and a family friend, Scott McGarvey (whom Williamson calls “the godfather of girls’ youth hockey”). The elder Williamson is a hockey lifer. He graduated from Edina High School in 1985, played for the University of Minnesota Gophers and got into coaching in 2000. He has coached players at every level, from the littlest mites to the Edina girls’ varsity team. In 2000, Williamson helped McGarvey create a girls’ Termites program, for girls in pre-kindergarten. Originally, it was an underground option for girls looking to learn the game, but after two years it officially became part of the EHA. The formation of that first Termite team was a first step to Edina creating a well-rounded girls’ hockey program. It gave girls like Taylor Williamson a chance to begin their careers on the ice and come up through the ranks the same way as the boys. A preeminent program in the country, the Edina Hockey Association boasted 21 girls’ hockey teams and 316 players during the 2013–14 season, and was awarded the Minnesota District of USA Hockey Female Honors Award for its commitment to girls’ hockey. The program is built around a philosophy cultivated by coaches like Dean Williamson and the current co-commissioner of the girls’ EHA, Casey Hankinson. Like Williamson, Hankinson is an Edina graduate who played for the Gophers. 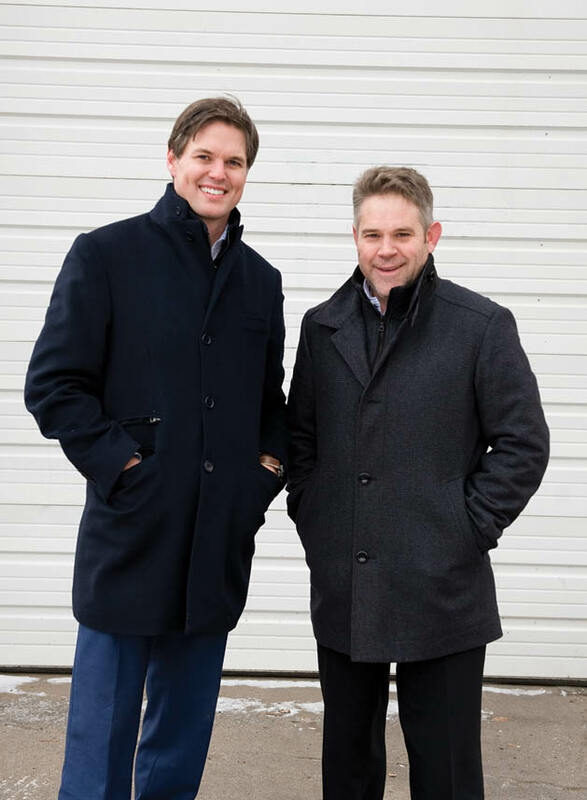 He spent a few years playing hockey in the professional ranks for the Chicago Blackhawks and the Anaheim Ducks before coming back to Edina in 2005 and getting involved in coaching. Hankinson and Williamson say that the strength of Edina’s hockey programing comes from creating a fun environment. “No question, the No. 1 goal is to make the girls want to come back next year,” Hankinson says. As the girls move through the system, a greater emphasis is put on skills and training, but at its core, the Edina system is built around creating a love for the game so kids want to play hockey. It’s hardly a shocking revelation, but understanding the differences between boys and girls has been instrumental in the EHA’s success. Both Hankinson and Williamson (each has coached boys’ and girls’ hockey) say that, in general, boys can be more competitive at a younger age than girls, whereas girls are more focused on team-building and thrive on camaraderie. If this sounds like a callous generalization of gender roles, it’s not. Not even close. It’s a deft understanding of the development of boys and girls. It’s customizing and tailoring a hockey program to the kids who are playing, and creating the best possible environment for every player. It’s an understanding from experienced hockey coaches of how to cultivate an experience for both boys and girls of every skill level. “The hockey program is very supportive of every player’s aspirations,” Williamson says. The goals of athletes who are driven and focused to bring their game to the collegiate and Olympic levels can be met. And athletes who just want to have a great time and a great experience are also provided a great avenue. Taylor Williamson is a good example of Edina’s successful hockey system. She’s also a great example of how girls can make the most of their hockey career. Taylor started on the Termites team but when her teammates moved up to the next level, Taylor went and played with the boys. She continued playing with the boys for four years before returning to the girls’ program and working her way up to captain of the girls’ varsity team as a senior this season. Taylor Williamson is not only a star for Edina, but also for the U.S. under-18 women’s hockey team. This Olympic-style competition brings together the best female hockey players from around the country to compete with teams from around the world. Her stops have included playing at Lake Placid, site of the 1980 “Miracle on Ice” and one of the best-known rinks in the world. Now Williamson is preparing to play for the Minnesota Gophers next season.Playing for the Gophers has always been a dream, and Williamson hopes she can parlay success at the University of Minnesota into an appearance at the Olympics. It’s not hard to see where Williamson’s aspirations come from. Growing up in the country’s premier girls’ hockey program gives players like her a taste of success and often leaves them wanting more. The EHA also provides female athletes the skills they need to keep on climbing.